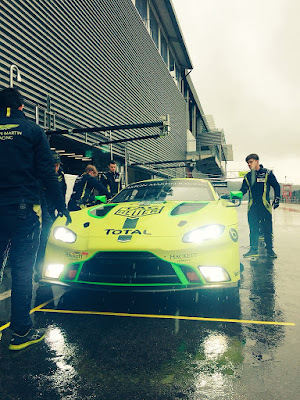 The last two days of official testing prior to the start of the 2018-19 World Endurance Championship saw the four entered Aston Martin Racing cars and others endure some very typical Spa weather this week. 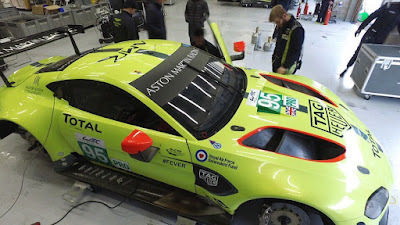 A full six GTE Pro driver contingent was present at the test with the teams two new Vantage GTE cars with some very amusing footage being posted on social media of the drivers practising their statutory self removal from the car via the opposite side door! Check those ones out.......!! Joining the two GTE Pro cars were the two stable GTE Am entered cars from both AMR and TF Sport, each with all of their drivers except for Canadian Paul Dalla Lana, all busy completing their own final preparations for the WEC Prologue and WEC season itself that starts in just a few weeks time. 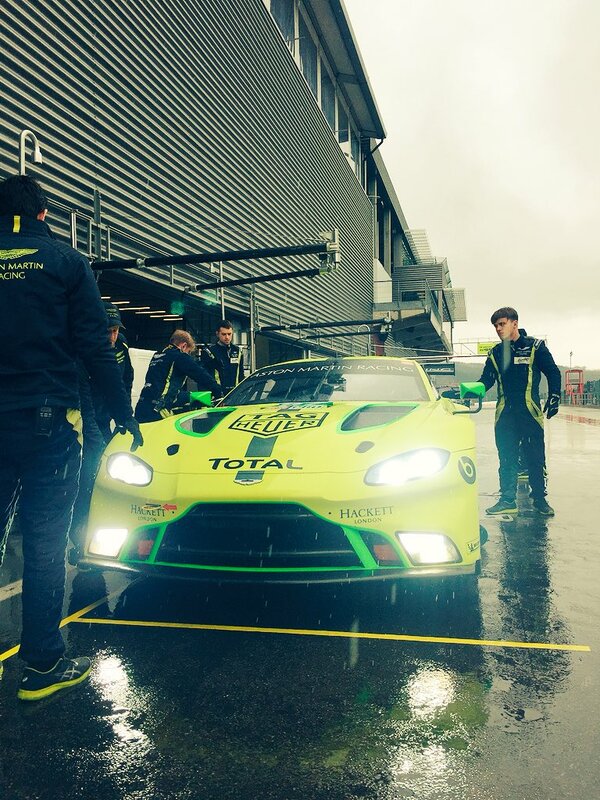 With all the testing that has been conducted with the new Vantage GTE over the winter months it is not known exactly how much of that has been conducted under wet conditions? 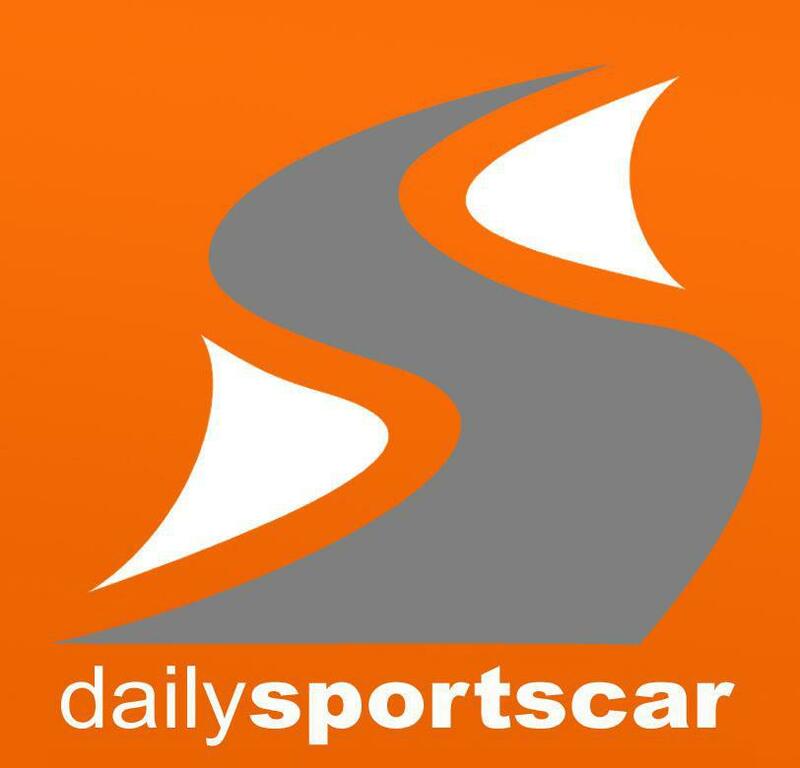 Presumably some of their UK based testing would have been, certainly the three day AMR Collective test in Portimao was but none of those would have been with the teams final iterations of Michelin confidential tyres that they will race on this year, so whilst others may view a two day cold and very wet track test as unproductive, the proof may actually be to the contrary as Spa in May isn't necessarily going to be hot and sunny! 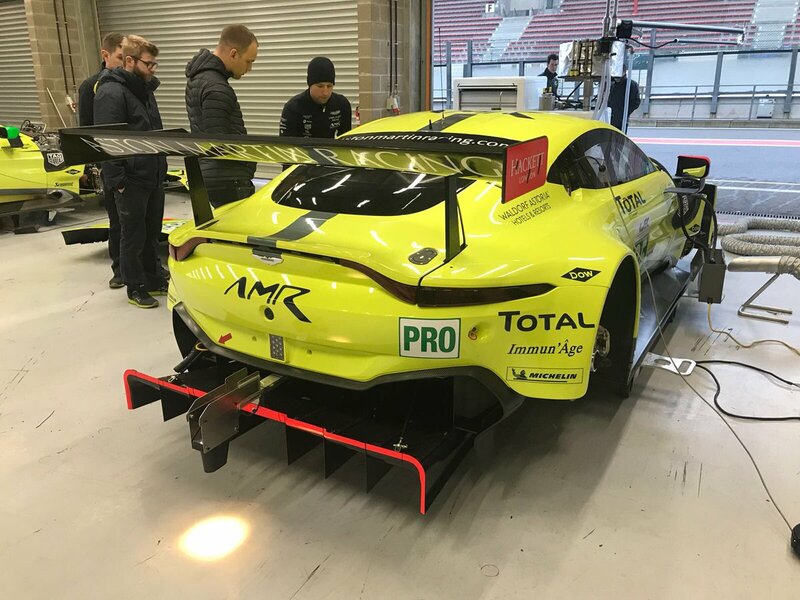 Whilst many of the Pro drivers now head off to Oulton Park this weekend for the start of the British GT Championship, the team will now pack up their gear travel down to Paul Ricard in south-west France and re-prepare the cars for the Prologue that starts next weekend.